At High Speed Technologies, Inc. we provide expert Daewoo Spindle Repair and Rebuild for spindles used on Daewoo CNC machines. If you have a Daewoo machine with a damaged spindle call 1-603-483-0333. Our company specializes in repairing precision CNC spindles. Every repair comes with a full OEM equivalent warranty. Need an emergency repair? Ask for our Quick Turn Around service. If you have a spindle problem we’ll give you fast turnaround, certified technicians, OEM warranty, without OEM prices. Daewoo was established in the USA in 1994 by Doosan. They have recently changed their name to Doosan. They have placed tens of thousands machines throughout the world. So no matter if you have a Puma Lathe, one of their DMV series vertical mills, or an ACE series horizontal mill, we can repair the spindle. This Daewoo ACE H500 horizontal mill had definite indications of “others” having attempted a repair. Some signs were benign enough, such as scratches on the housing. However some of the other indications included damage to the hydraulic nut and that type of damage must be repaired. 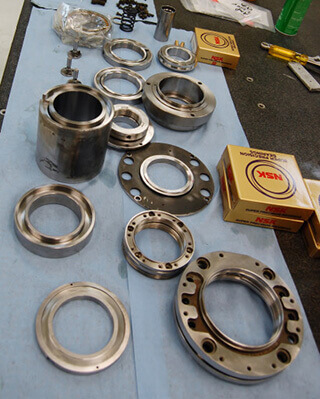 The damaged hydraulic nut on the left must be repaired with our GPG process. The heavy scratches on the body are strange but not critical. When we finished this Daewoo spindle it passed all of our test procedures with very respectable numbers. Taper run out was 1µm and velocity was 0.0260. The spindle is wrapped in Mil Spec corrosion resistant wrap and cushioned in close cell foam for shipping back to our customer. 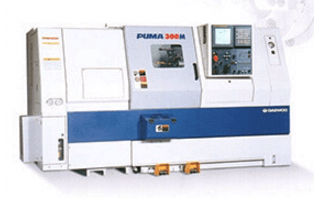 You can easily see the similarity on this Daewoo Puma 200 lathe spindle to the later Doosan series lathes. This spindle came in with severe liquid contamination in all four bearings. As we did our forensic examination we discovered that two O-rings were missing, allowing liquid to penetrate the interior of the spindle. 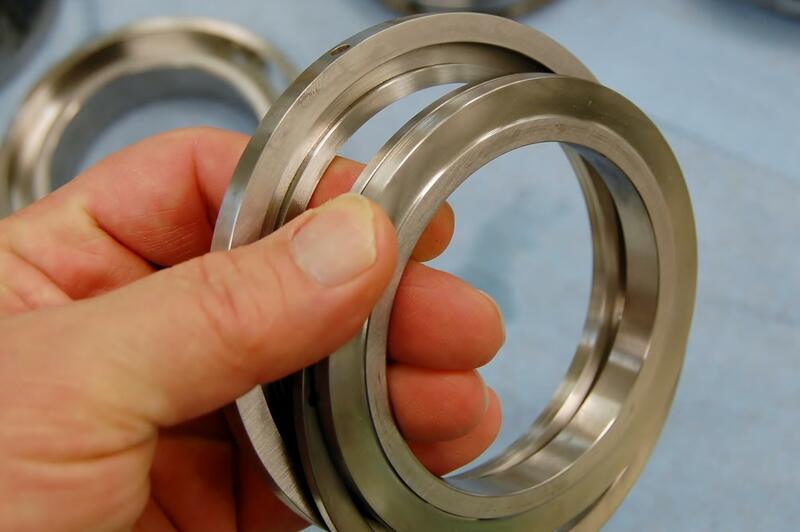 Missing O-rings allowed liquid contaminate to inundate the interior of the spindle resulting in rapid bearing failure. Precision ground spacers are critical for maximum performance and life. We only use top name brand ABEC 7 super precision spindle bearings for every repair. Prior to assembly all parts are meticulously cleaned and laid out for careful inspection. We ran this spindle up to full speed on our test bench. The test results were very good. 2µm run out and acceleration at 0.0390 in/sec. After passing all tests it’s ready to ship. If you have a Daewoo CNC machine with poor run out or excessive vibration, call HST 1-603-483-0333. We know Daewoo Spindle Repair and Rebuild, that’s our business.